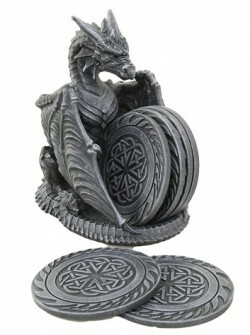 Stone effect black dragon Celtic coasters and holder. Very nice quality. Feels solid and weighty. From the popular Nemesis Now range of quality giftware.